A mobster in the mob who wants to get out. 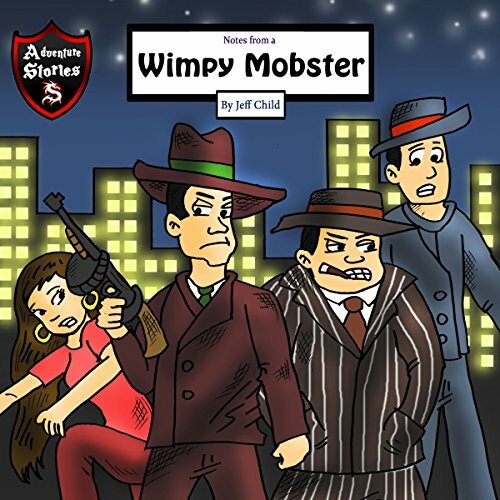 This is the diary of a mobster who has been brought up in the mob all his life. After stealing an important magical object and hitting on the daughter of the big boss, he finds himself in a dangerous situation and has to convince his dad to leave the organization and look for a better future elsewhere. Listen to the exciting short story of this mobster: a guy with a good heart and with doubts about his destined career. I found this audio book very entertaining. The story is exciting and more on action. Well narrated and awesome story teller indeed. This book is so funny. This book is so funny and clever and action-packed and so great, it defies a proper description. It had me laughing out loud from the start. It is all good things and I would really recommend this. A fun book to listen to. A fun book to listen to, you won't be able to stop yourself from finishing. Definitely not what you're probably expecting...because there's no way to anticipate this story. This audio book is perfect for me. This audio book is perfect for me. I have been getting a lot of audio books from Jeff Child's collection and they are all great. Narration is very good. Story is just perfect for my little boys. They love the adventure and exciting parts. This is very good. I like the story and the characters. Well developed and good sound quality for the narration. A book that is very enjoyable to listen and has moral. Good for kids of all ages. It has a very nice story and well written for kids. I was babysitting with my neighbor's kid and he can't fall asleep. Decided to check out a book that we can enjoy and I was not disappointed. Had fun listening to it. I had to visit my grandparents last weekend and I get the chance to babysit some of my nephews. This book is really enjoyable to listen and has fresh idea. I like the story. Very nice adventure story. I really had fun listening to this book and I will definitely recommend this to my friend and neices and nephews.